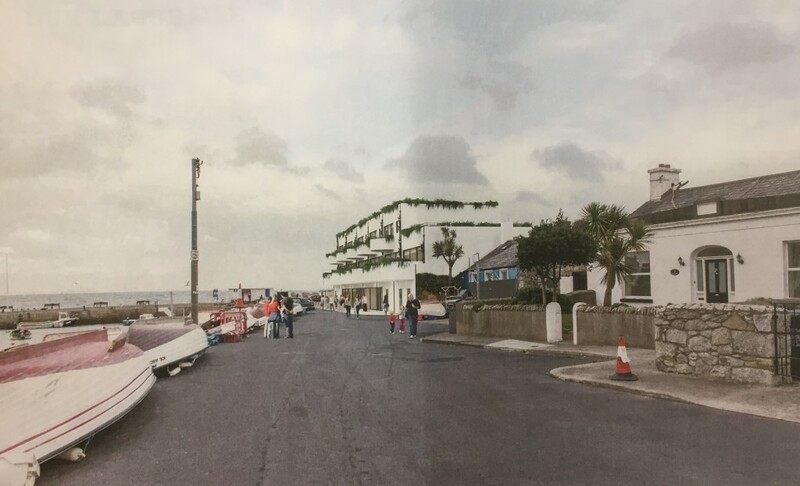 Plans have been lodged with Dún Laoghaire-Rathdown County Council to redevelop the former Western Marine premises at Bulloch Harbour into housing, a café and shops. Three very large three-storey houses, each of about 5,000 square feet. In the twelfth century, this granite harbour was fortified by Cistercian Monks for trade and fishing. An imposing defensive castle was built which still stands. Today, the harbour is still used for fishing and marine sports, while Carmelite sisters run a large nursing home in the grounds of the castle (Our Lady’s Manor). Both the harbour and the castle are listed on the register of protected structures as being worthy of special protection due to their heritage. 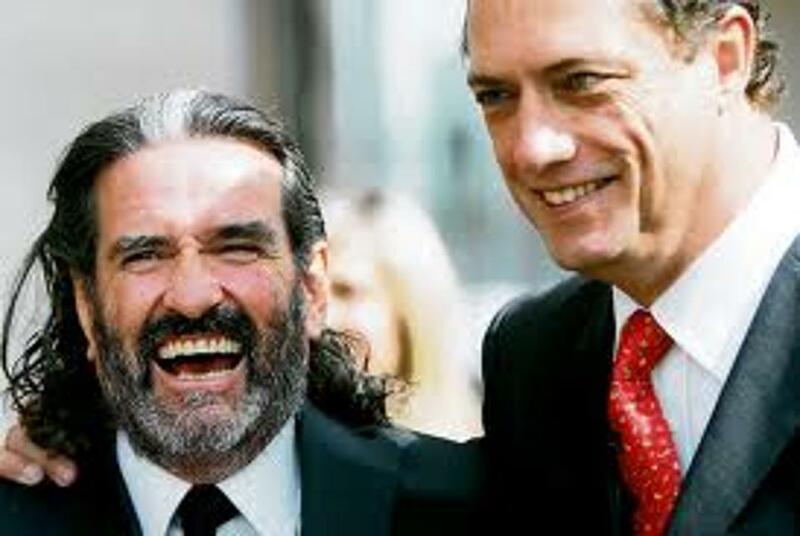 The developer is Richard Barrett, best known for his former partnership with Johnny Ronan in Treasury Holdings, a hyper-ambitious Celtic Tiger era business. Treasury Holdings went into liquidation in 2012, owing €2.7bn. While many people are still in negative equity having bought their homes at the wrong time, both Ronan and Barrett are once again flying high, acquiring and developing sites around Dublin. Until last year, developers had to allocate a fifth of sites on new developments for social housing. This was reduced by Alan Kelly while he was environment minister, to one in ten sites. This change was meant to encourage more building by increasing profits for developers. As the developer of this site has proposed just nine residential units, there is no social housing requirement at all. Is this a good development? This is a fairly small development – but in a very sensitive location. To me, the plans look drab and unattractive. The straight line of identical white cubic apartments with commercial units below are reminiscent of a strip mall. The new development replaces a boat shed and it just hasn’t moved that far from the shed aesthetic. I would prefer to see the building line follow the curved wall of the quay. I would prefer to see some variety to the apartments. I would prefer to see pitched rather than flat roofs – which are both more practical in our climate and a better fit with the vernacular style. These units will be sold for a very high price and will have a significant visual impact on a public amenity and a beauty spot. I think they could have tried harder to design some beautiful buildings to fit a beautiful location. The development will bring more vehicle traffic down the quay-side. Obviously there is a risk associated with using a harbour quay-side for regular residential and visitor car traffic. I would like to see if there are any alternative layouts to reduce this risk. This rocky , exposed headland gives little protection from any storms and anybody living here would need to be prepared for a regular soaking in salt water. Storms bring high waves crashing over the site. Risk from excavation to neighbouring homes. If the development requires piling or excavation of rock to build foundations, then there would be an impact to neighbouring homes. The construction risks to neighbouring properties and the pier should be rigourously assessed before any development tales place. ← How can we design Cherrywood to be a healthy, vibrant district? It shows the quayside from Our Lady’s Manor and this is one perspective that I think helps to understand the potential impact of this development. These plans are a visual eye sore and have a negative impact on the visual amenity. The vertical lines in this project very similar to the ba house design and do not blend well with natural cost lines in the surrounding area. I think the new development looks fantastic!! Not sure why everyone is objecting. Have all the home owners sold their properties for a big profit or are they being forced out against their will by the government?? 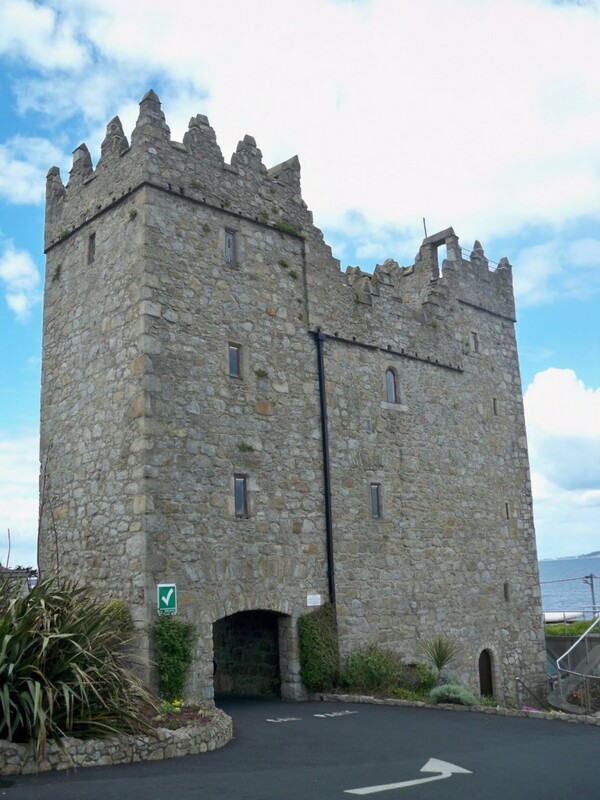 This is one of the most beautiful landmarks in Dalkey and shouldn’t have any development whatsoever. I pray that the people of Dalkey stand together and have this shameful proposed development vetoed. amenity…is this the best that [they] can come up with? Its appalling that this is even in the running , let alone a possibility. calibre of design and environmental awareness? Must we always blunder into the bloody awful? And for [someone’s] pockets? of this project. This beautiful spot deserves better. Thanks Ossian for posting this info. Your comments about the proposed development are charitable to say the least. The proposal is akin to taking the most banal of Costa del Sol strip apartment blocks and plonking it into this historic setting. No doubt the council will love it! That is a terrible design, it should only be two stories high. I worked in Western Marine over 30 years ago. Please don’t let them destroy this beautiful little harbour. It is a habour, not a place to stack apartments! the space should be used for the community. What a mess this is one of the worst ideas I have seen since the original plans they had for the old baths (which thank god died a death) Hopefully this ridiculously stupid idea will go the same way. HORRIBLE HORRIBLE HORRIBLE is all I can say . Absolutely horrible proposal – an eyesore is an understatement ! Not a great long term investment. The site will be 5m below sea level when the Greenland Ice Cap melts. A current rate of melting it will all be gone in 50 years. A very ugly building, but regardless of that no development should be allowed on the harbour. Dear God, I hope this planning is refused. Dull and unimaginative is the polite version of what I’d really like to say about these plans. This is a stunning harbour in a unique location and should have no developement at all. But if there is, it should be in keeping with the area’s natural beauty ,and not something you’d find in a dodgy Costa del Sol developement !!!!!! The development is like some throwback to the 1970s in terms of the architectural design. It looks like something from retro-futuristic movie made in that decade. The whole hanging gardens from the balconies re-enforces this look. I still don’t get why they are restricting (pigeon holing) the use of all retail units to marine based activities. I get that it’s beside the see and all. However, in the years since I stopped sailing, I haven’t once been to Western Marine as it is too niche for my liking. If it is to benefit the entire community, it needs to be far more mainstream. In general, I think the fact that this site is being demolished makes it a golden opportunity to stream line the facility so that it can regain some of the function it lost to Dun Laoghaire Harbour. If they build as is shown the ones on the left hand side would be destroyed in Easterly Gales. 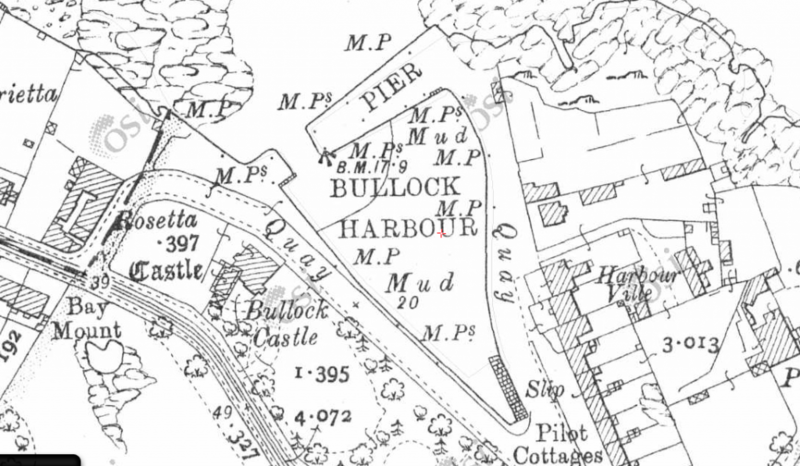 Unbelievable – how could anyone even consider doing this to our lovely old Bulloch Harbour ! Buying the site can’t give them the right to destroy the harbour for everyone, for ever ! ! ! Maybe it’s all a horrible joke ? Please , please, will somebody stop this madness. What is wrong with this country & its so-called “developers ” who are willing to destroy beauty, history, simplicity, nostalgia, absolutely everything for MONEY ! Is nothing sacred ? I live in this area and this development would be an eyesore on the beautiful landscape of Bullock. They have not been designed with any relevance to the surroundings. The buildings are too tall, blocky and too large for such a small harbour. It would be a terrible injustice if these were allowed to be built in this area of natural beauty. This proposal is wrong on so many levels, no least of which is willingness to trade off our heritage in order to make a few developers even richer. Have we learned nothing from the recession? A down right shame to be even thinking about destroying a Historicial place like Bullock Harbour to allow a developer access to it. 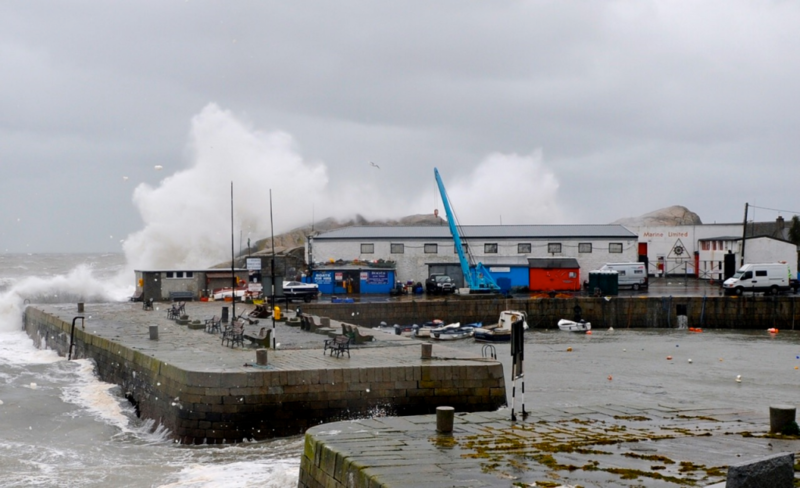 It will ruin the harbour for the fishing people & Tourists. If that design was proposed in West Cork it would be shot down simply on the basis that the design was not in keeping with the natural granite stonework of the area. The whole facade should be faced in granite stonework and the building have a more of a castellar look in keeping with the harbour ,castle and other walls in the area. Again it’s another Harbour on the East Coast been decimated. You’ve only to look at Colimore Harbour ( no longer a quaint harbour )with the bunkers overlooking the harbour, more flanders on DDAY, Now they have moved on to Bullock , history is about to repeat itself and the town should have its voice heard. Ugly looking development. Nobody has anything good to say about the design or the greedy developers. I don’t believe any architect was used to design this shoebox. I don’t think you could squeeze any more onto this site if you tried. East Coast Seakayaking Club , the largest Seakayaking club in Ireland with over 150 members paddle from Bullock harbour regularly. This is a club drawn from Dubliners and includes many living locally. Parking was restricted recently so parking is already at a premium here. There are existing residents using the narrow road access, the fishing boats which are for rent are drawn up along the quayside, locals launch their fishing boats here. 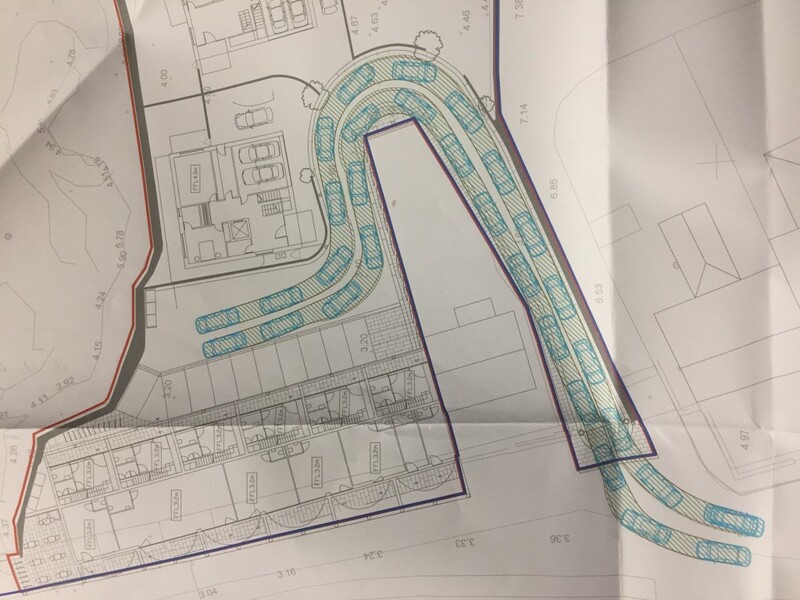 Now add to this the traffic for nine apartments, six houses, shops and a cafe and you can begin to have some idea of how impossible this site is for this proposal. Then there is the environmental impact such a development will have on the amenity aspect of the harbour. There are very few harbours in the city where ordinary people can come to launch a boat, walk the dog, sit on a bench and view the sea across the bay, play with children, have a sandwich and flask of tea, swim on a summers day, buy fish or crabs, rent a boat to go fishing, rent a kayak to go paddling, launch a seakayak, go coasteering, fish from the rocks or launch your own fishing boat. It’s a beautiful harbour and besides it not being appropriate at all, it looks ridiculous!! Visually awful, incongruous within this setting. Increase in traffic along the quay wall is both undesirable and dangerous. Given the size of the units, what’s the residential capacity, and age profile? How many cars does this represent in similarly populated units in the locality? Does the traffic plan reflect this? How many electric vehicle charging parking spaces are provided for, given public policy is to have 20% electric car population? Are any of these grounds for objection? As usual the same people who crashed the economy have their snouts in the trough for a fast buck. Damn the consequences, the amenity, the environment and anyone who opposes them. De ja vu. What an ugly development. Poor historic town. Good luck to all who campaign against it. One hopes the local planning authority have not been bought and reject the design as undesirable. Visually incongruous in sensitive spot. Should be vigorously opposed. Oh good God that is horrendous looking. A spot many of us stop at to breath in the sea air, take in a wonderful view and get some much needed head space in this often too hectic will be destroyed. As a society we need some small patches of quiet and calm. There is no need to spoil what is a small local amenity. It’s just greed driven. Just leave us these important local spaces. Too valuable to ruin with such uninspiring plans. He has been there for years like his father before him. Is there any plans for him to fit in where he deserves to make a living? If this goes ahead it only proof to me brown envelopes are still alive and kicking. I am disgusted to my core that anyone can dare to demolish this beautiful and precious landmark. How dare you destroy history for a quick buck. How dare you Rampage over our lives with your Greed. I plan to camp out to stop this monstrosity and any more destruction of our beautiful places. DO NOT LET THIS HAPPEN PEOPLE PLEASE PLEASE IT’S NOT FAIR!!!!!!!!!! THIS IS A DEMOCRACY -STOP THIS MAN. I was raised in the area and although I have lived abroad for 30 years, I come home regularly to find more distasteful and disagreeable examples of urban decay popping up with alarming consistency all around Dun Laoghaire and surrounding areas. 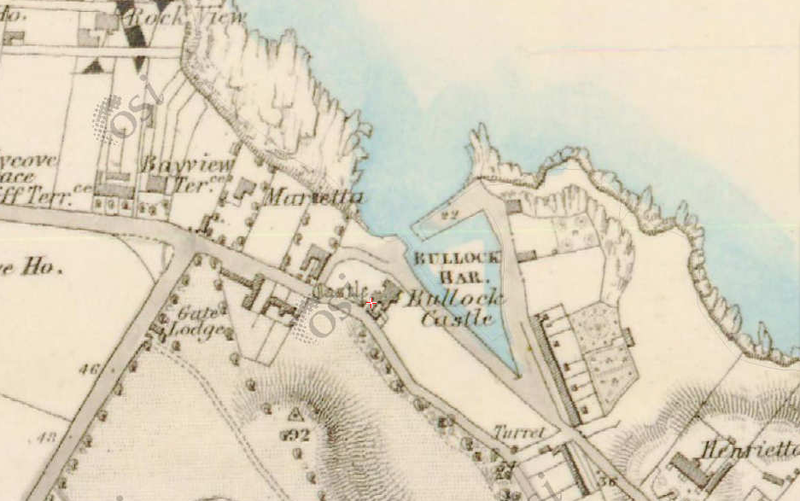 From ugly apartment buildings overlooking the coal harbour, and Colimore harbor, to monumental edifices to bad taste and ego like the unnecessary and inexplicable library and now this; the seriously misguided heist of the famous Bulloch Harbour, a beautiful and ancient popular, public destination. Who agreed to place a for sale sign on our important public areas? What’s next? high rise apartments along Seapoint? or perhaps a nice hotel atop Killiney Hill? The costly lessons of the building boom from the last mismanaged development cycle are evident everywhere in Ireland, including Dun Laoghaire, for all to witness. We must trust our planners are finally paying attention. It is well past time Dun Laoghaire County Council’s Planning Department stood for something other than an appalling, prevailing lack of judgement and exercised their duties and responsibilities to their good offices like the responsible public servants they were hired to be. The old boat shed could be replaced with a stone faced low rise public market, in keeping with the historic surrounds, or some other public use development, for example, but not this. There is no need for this eyesore residential project, the traffic problems it will create, or the ruination of another landmark in the public domain. Are you aware that the current proposal will prevent access to the coast behind the harbour currently used by swimmers. Surely ensure the plans should ensure that this remains a right of way for the public. I didn’t notice that the plans would prevent access for swimmers so thanks for drawing my attention to this! I am a frequent visitor to the area, it is one of my favourite areas, to visit on a Sunday walk. On occasions I have used the harbour to launch a small boat which I bring on a trailer. The proposed development has the potential to destroy the appeal of the area for visitors like myself , not to mention those who live nearby. This is dreadful, obviously money talks. Bullock Harbour is one of the very few if not the only place south of Dublin where the public can launch a boat free of any charge, The additional traffic, and need for parking , will have an adverse effect on the amenity for boating, kayaking, fishing . . . . . So please, Dunlaoghaire Rathdown C C, Planning Dept, reject this application, and make them come back with a more suitable proposal. Please everyone be aware that there are two planning applications in with dlrcc, one to demolish buildings and clear the site and the second for the actual development. It is equally important to object to the first as if the developer gets permission to clear the site and is refused planning permission for the development, he will most likely put up an unsightly hoarding and leave it sit for years. Everyone needs to get their objections in by 4pm on Thursday 19th January and not 5pm as you would expect. These are our amenities and we need to stop the rot in Dun Laoghaire and surrounding areas before its too late and the natural beauty is destroyed and lost to future generations.